For retrofitting in H0 locomotives from Märklin and Trix with built-in high-performance engine or other DC motors. 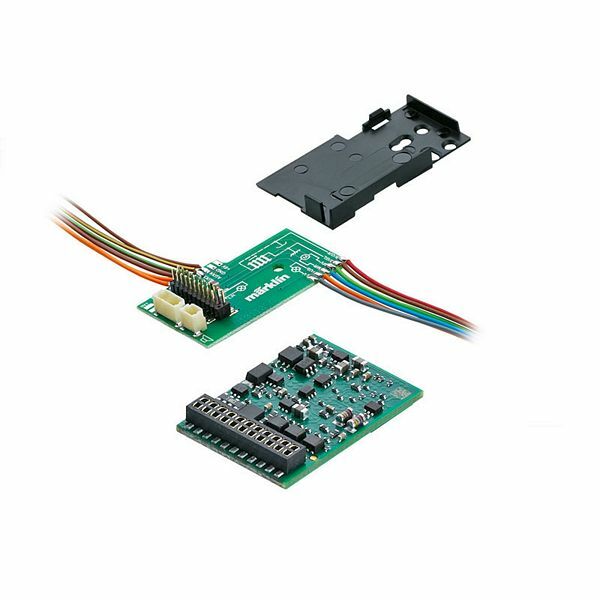 Marklin LokDecoder3 has a 21-pin connector and mating connector board for retrofitting in analog and digital locomotives. Marklin LokDecoder3 supports the digital formats mfx, MM1, MM2, and DCC. Not for children under 15 years of age.